Congratulations to our Master of Architecture degree candidates! 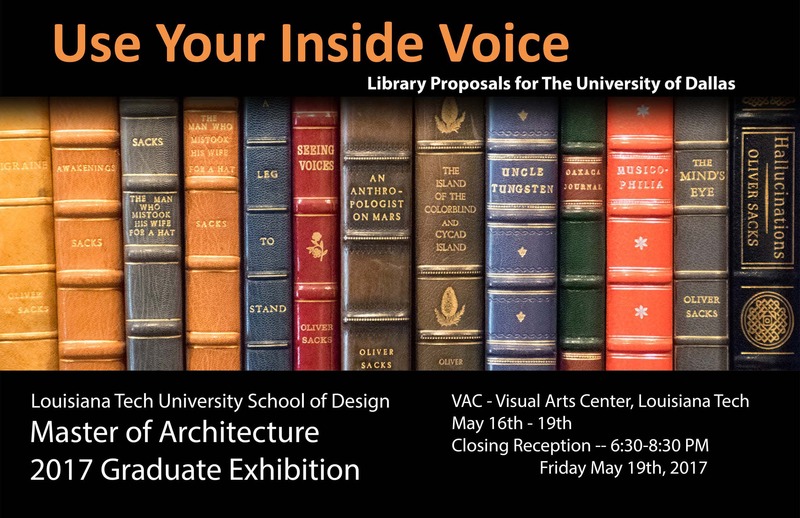 These students celebrate with an exhibition of work as a prelude to commencement exercises on 20 May. The closing reception is scheduled for Friday, 19 May from 6:30pm until 8:30pm in the FJ Taylor Visual Arts Center Galleries.